“I know you are in there, I know you hear me. I’m your Nurse and I will hold your hand through this.” I whispered to the pale, puffy, 50 something middle-aged man in obvious pain as he tried to breathe. Our eyes met briefly and the connection was verified. It had been a cold, busy early ’80’s January night when the traffic fought me as I attempted to get to my Intensive Care Unit (ICU) shift on time. Got my Stethoscope. Got my scissors and pens. Got my midnight lunch, and even kept my own blood pressure cuff tucked away in my car! We actually wore nursing caps back then so I pinned mine on and was ready to hit the hospital floor running. There were no iPhones, so I had my little black spiral calendar tablet in my lab coat pocket for phone numbers, notes and basic apothecary formulas for prescriptions. We calculated everything ourselves over 30 years ago and even mixed most Intravenous (IV) medications. It was a world of stand on your feet, run and go, lift and turn, senses assaulting, brain calculating, empathy draining, relentless shift of work. And. I. loved. it. I could feel my heart beating faster and my adrenaline flowing as I rushed to the 3rd floor Intensive Care Unit (ICU) for a 12 hour shift. 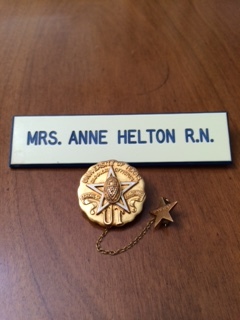 I loved the science and the art of Nursing and loved wearing my mostly new University of Texas Nursing School pin with the little star attached to represent Houston and I couldn’t wait to meet the new patients admitted to the hospital in need of care. Most of our patients were admitted in pain and shock from the Emergency Room or directly from life saving surgery for Post Operative Intensive Care but some were also more long-term intensive care patients and thus their families and histories were well-known to staff. The ICU Staff functioned as a family of sorts, albeit at times dysfunctional!! But we all worked as a Team to make sick people healthy again. I went into the nightly cave of ICU where the secrets of wires, beeps and instruments were stored, where the codes for medicinal mixes were housed and where private phone numbers to reach physicians in the middle of the night were guarded. At that time ICU’s were mostly off-limits for families and thus a primordial bond was created between patients and staff. We were their lifelines and we earnestly absorbed our duty deep into our persona. We often became the “keeper of the keys”. However, Registered Nurses were also known to frequently sneak husbands, wives, parents and children into ICU’s to hug patients far beyond any established hospital visiting time rules. This would be one of those nights for me. 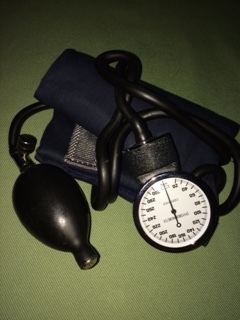 My recently admitted Mr. Man Patient lay on his back, exposed to me, arms flayed as if on a cross and he was connected to tubing leading to bottled fluids in order to bring his heart rate down, his blood pressure up, his pain level down and his consciousness up. We had him on a roller coaster to keep him alive after he had suffered a major myocardial infarction, MI, or heart attack that had effectively killed most of his heart muscle. His mid- sized, only 58-year-old body had been found by his teenage son on the floor of their garage when his son came home from school. Mr. Man Patient had been cleaning the garage all by himself, which was after he had mowed his yard and cleaned out the gutters around the house. And all of it was done while sneaking a cigarette in between chores. Yes, a classic Type A! His son was horrified and tried to shake his dad awake, then remembered his minimal Cardio Pulmonary Resuscitation (CPR) skills and he went into gear… He knew his Dad had major heart problems already and did manage to get him breathing again. So, he held on to his father as the Ambulance crew arrived and brought him eventually to our waiting arms. After receiving my report from the RN on the shift before me, I reviewed my guys’ chart and did my usual nursing assessment. I introduced myself but did not get a response so I stroked my patients’ shoulder, gently watching him stir just a bit. I could feel the beads of perspiration and recognized he was still reacting to his terrible MI. Skin turgor and color: check. Consciousness: ? Consciousness: ? No, he was not responding to my voice or touch except to moan a bit. I looked out through the glass window by his bed and saw a fifty something, lovely woman with caring, terrified eyes looking straight at me. I knew it was his wife without being introduced. She pleaded with me and words were not necessary. Just as suddenly, a Staff member drew the curtain and she could no longer be seen. Now I had a family face in my head and could see more depth into my patient. It always made it harder. I knew from report that the Cardiologist did not expect him to survive and that this was a classic widow maker type heart attack. We didn’t always rush folks to the Cardiac Catheterization lab back then, in fact most places didn’t have one. 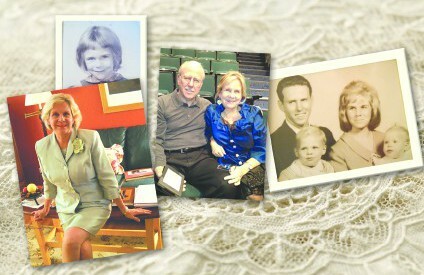 I continued to turn his wedding ring and he mouthed to me “my wife”. I said, “Yes, Your wife is here”. He shook his head “No” and I said “Yes, she is right outside.” He seemed a bit agitated and then mouthed “My ring”. 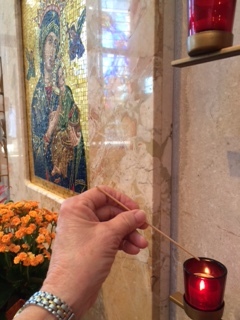 It hit me…“You want your wife to have your ring?” He squeezed my hand and our eyes met in the connected way that one can only have when one person is pleading for help while the other person finds a way to help. “Please” he said. I patted his hand and said “Okay”. 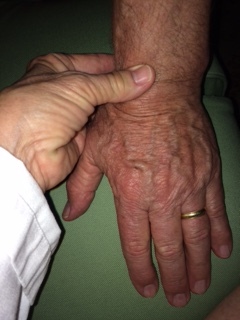 In a moment of time that seemed like a wedding, with chime-like music of a heart monitor and the percussion of oxygen and a suction machine, I took his ring off and she held out her 3rd finger, left hand and I placed it on. She cried and he smiled. They kissed and he closed his eyes. He was tired. As I ushered her out and hugged her, soon afterwards his heart monitor went off again and his last Code started. The CPR team worked extra, extra hard to bring back this man and I saw briefly his wife holding her teenage son in her arms as the Staff drew the curtain one last time to his room.